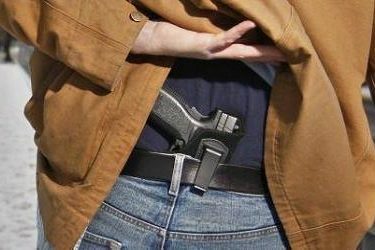 TOPEKA – (June 25, 2018) – The application fee for a Kansas concealed carry license will be reduced effective July 1, Kansas Attorney General Derek Schmidt said today. Under the terms of the budget for state fiscal year 2019 passed earlier this year by the Kansas Legislature, the application fee will be lowered from $132.50 to $112. The reduced rate applies to applications received by sheriff’s offices between July 1, 2018, and June 30, 2019. Applicants should submit their applications with one check for $79.50 payable to the Office of the Attorney General and one check for $32.50 payable to the sheriff of the applicant’s county of residence. The cost for license renewals remains unchanged at $25. An updated application form reflecting the new fee structure is available on the attorney general’s website at www.ag.ks.gov/concealed-carry.